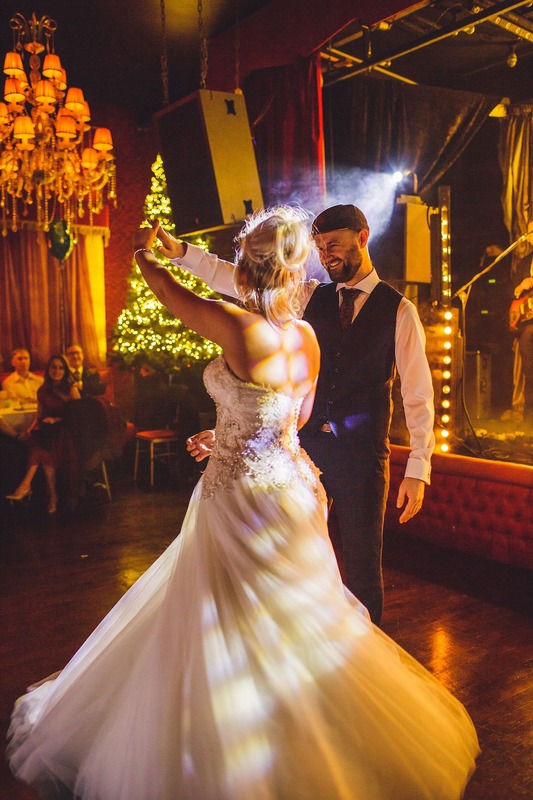 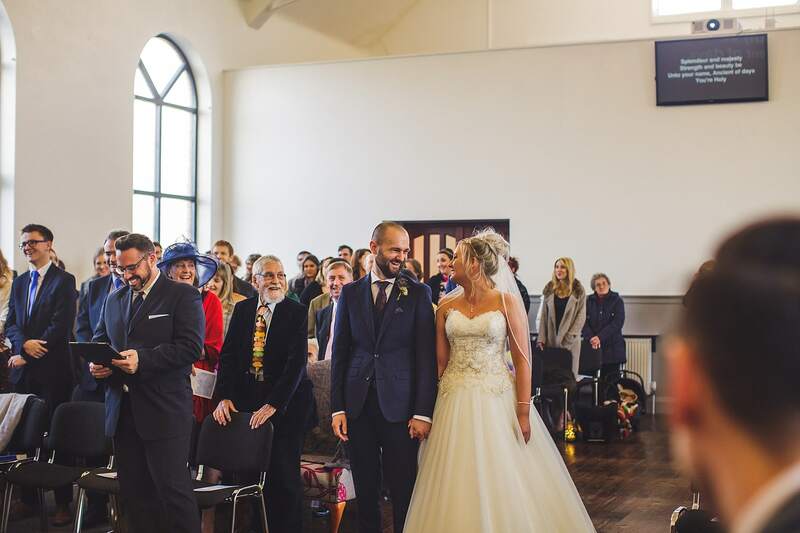 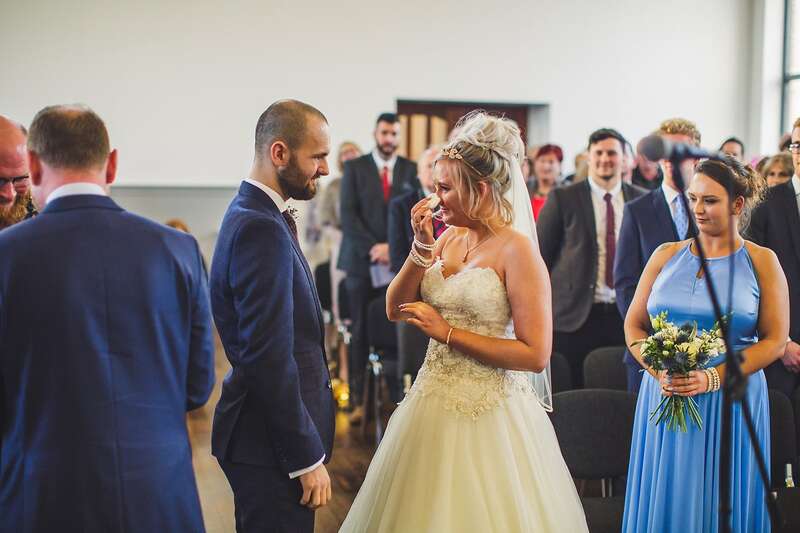 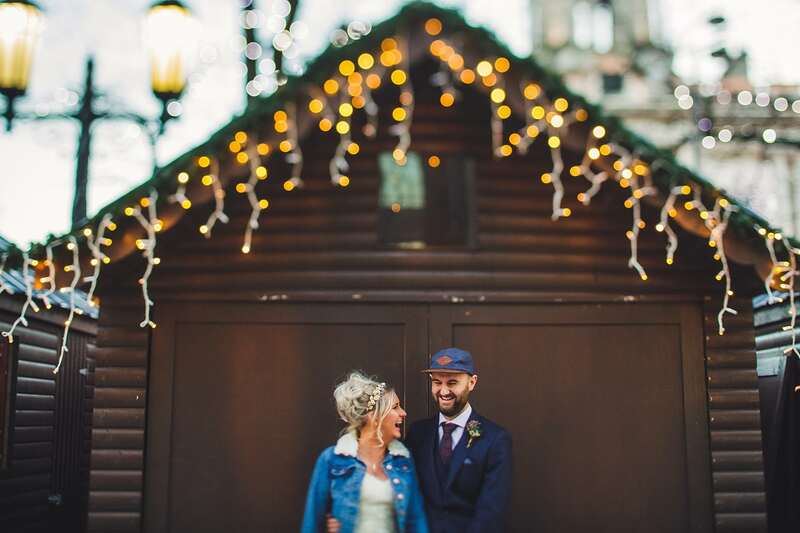 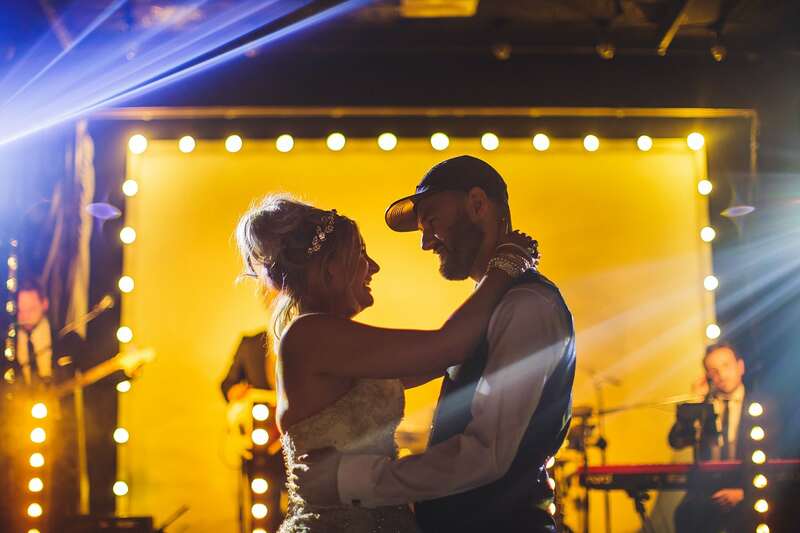 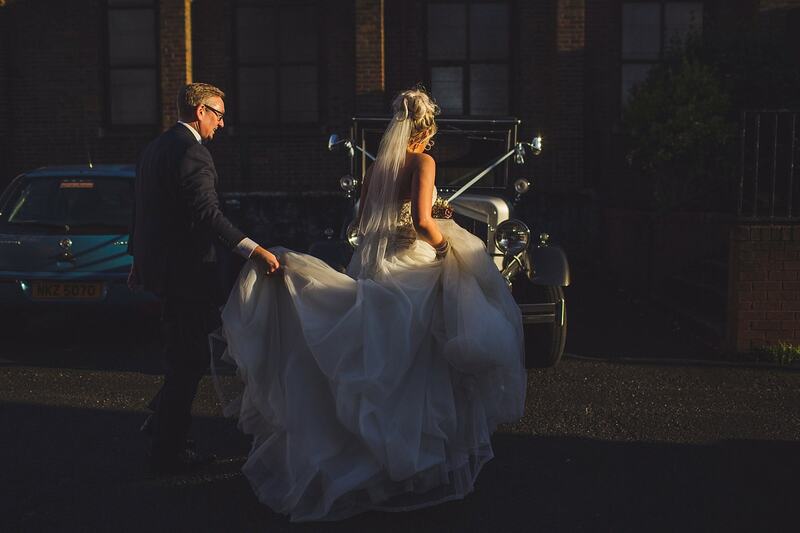 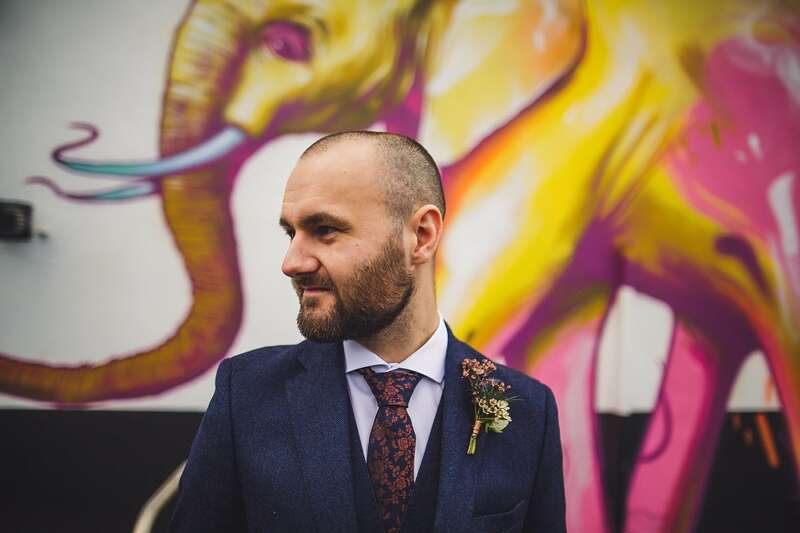 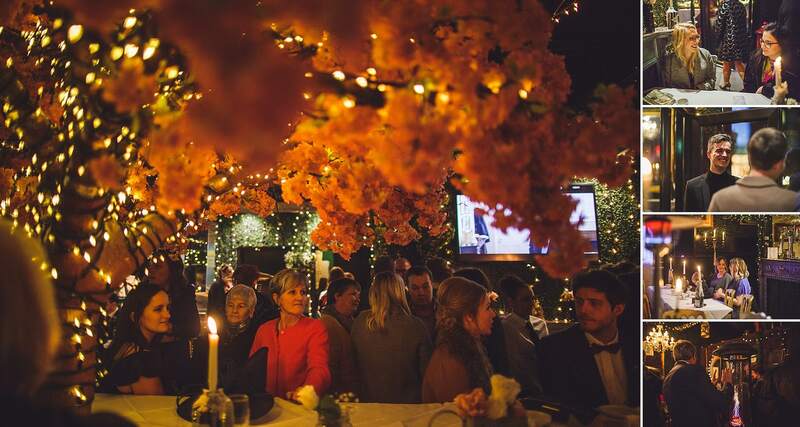 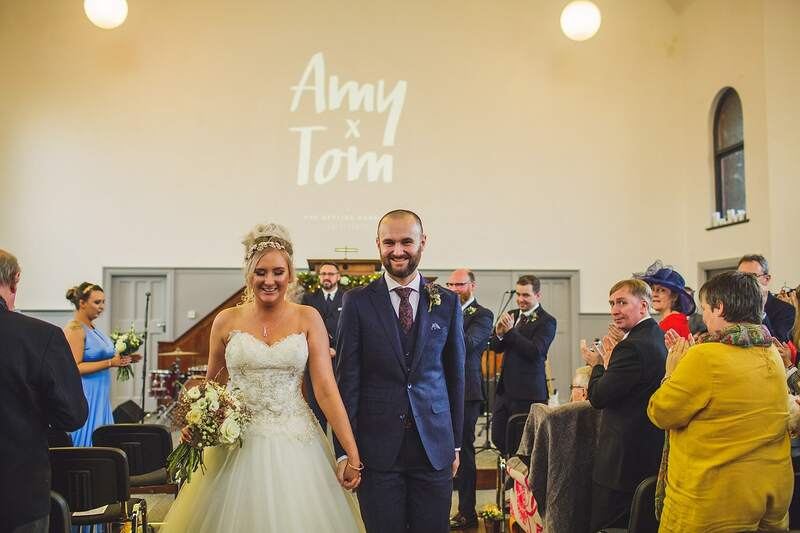 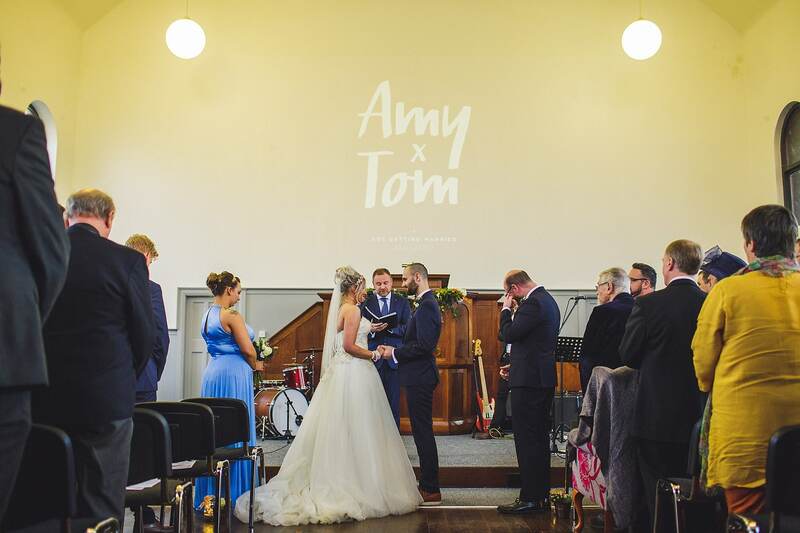 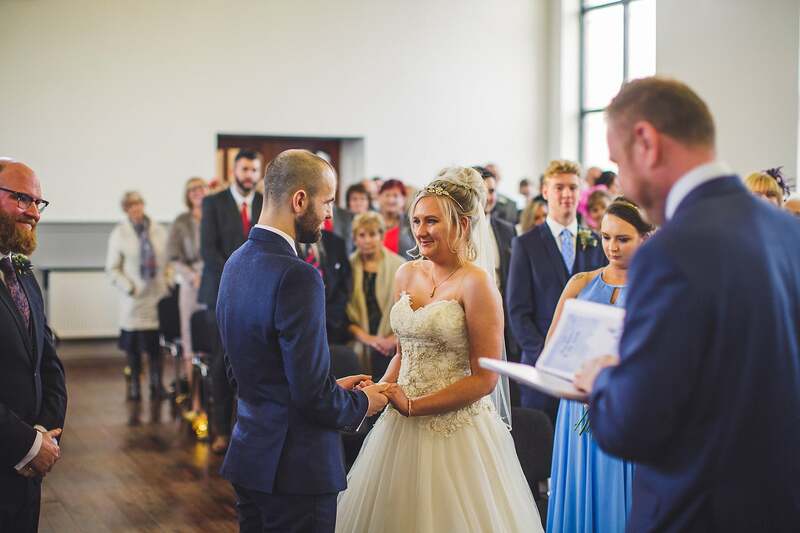 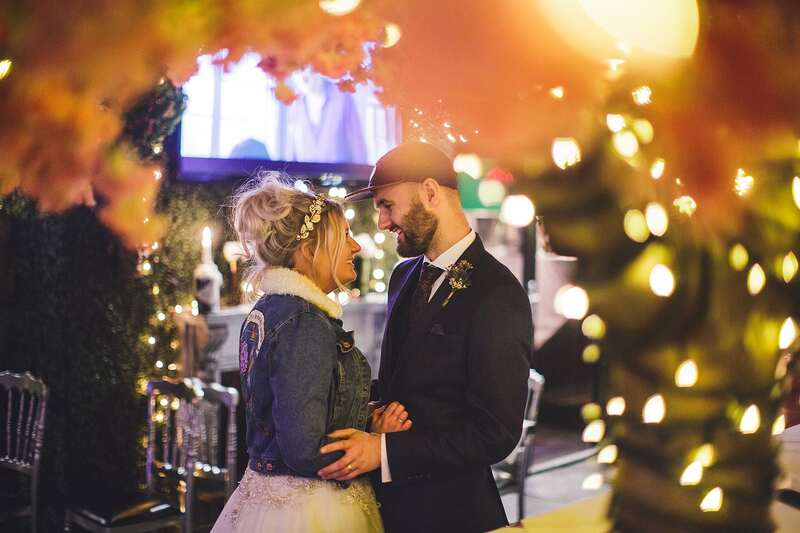 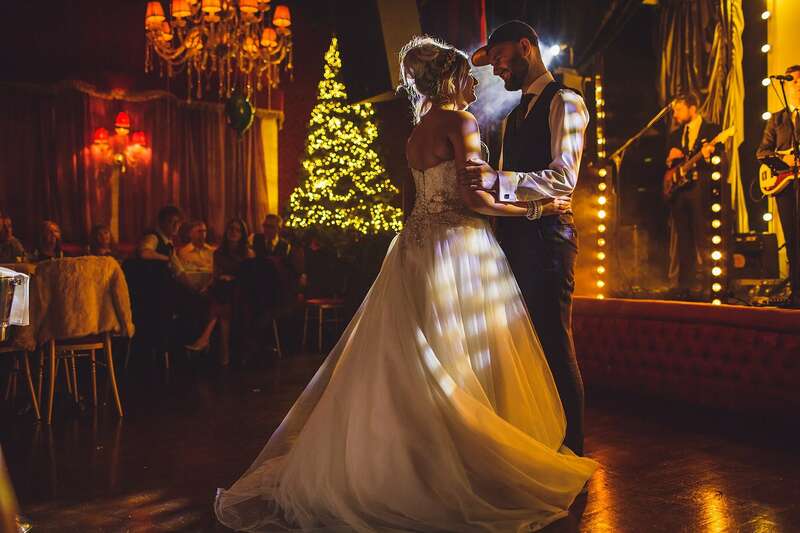 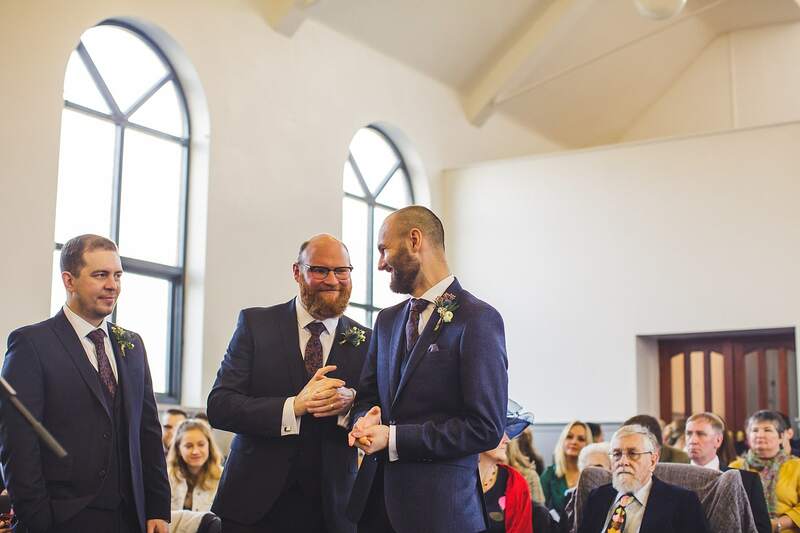 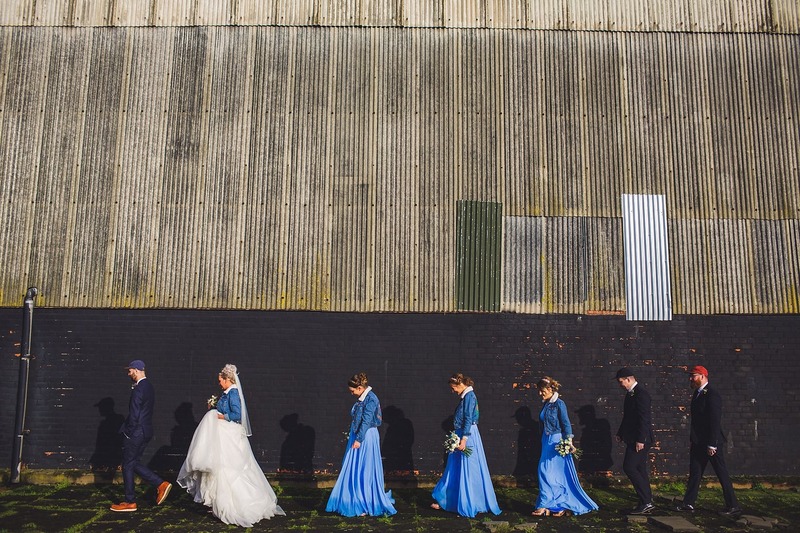 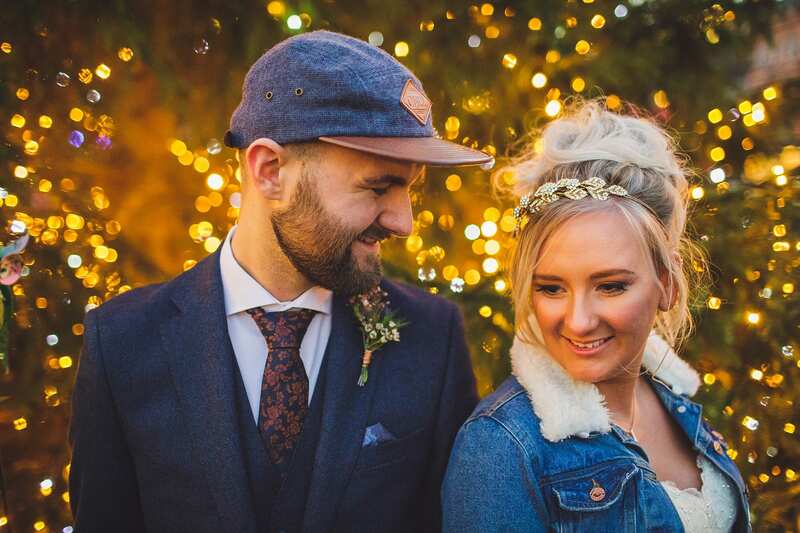 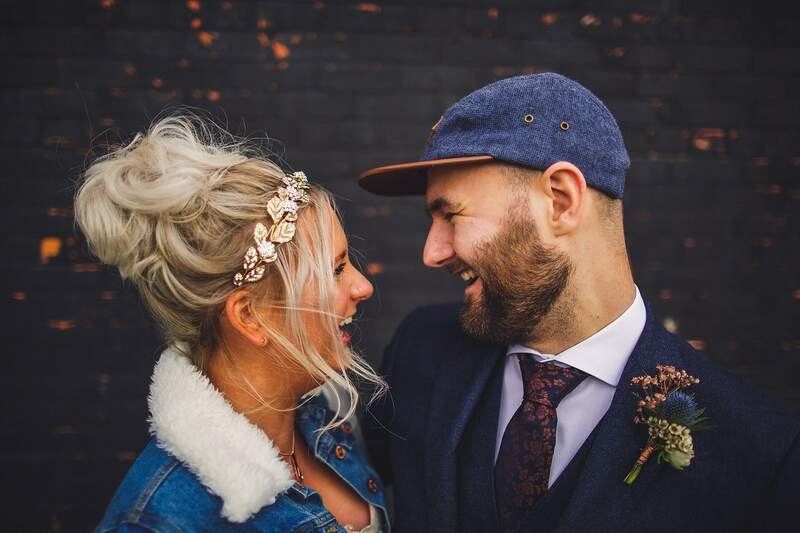 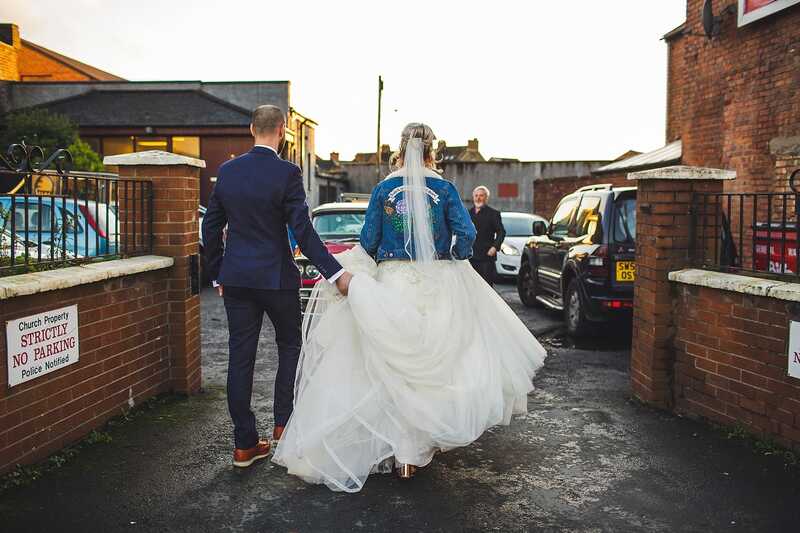 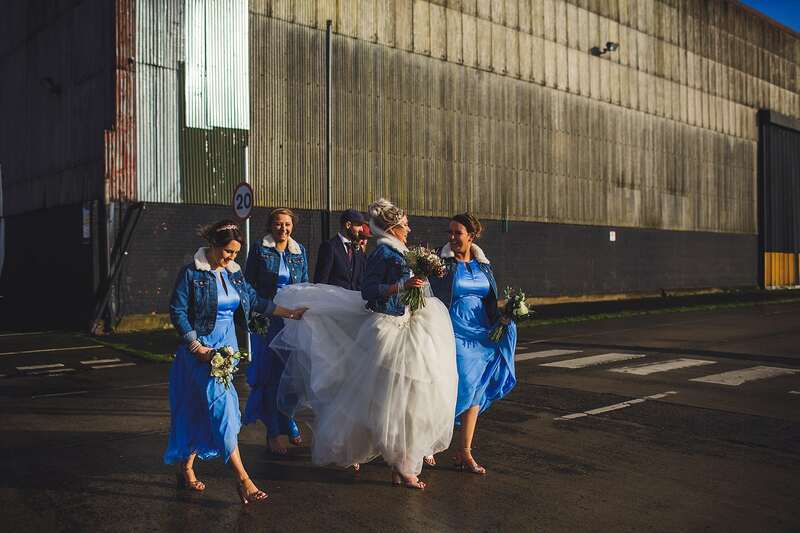 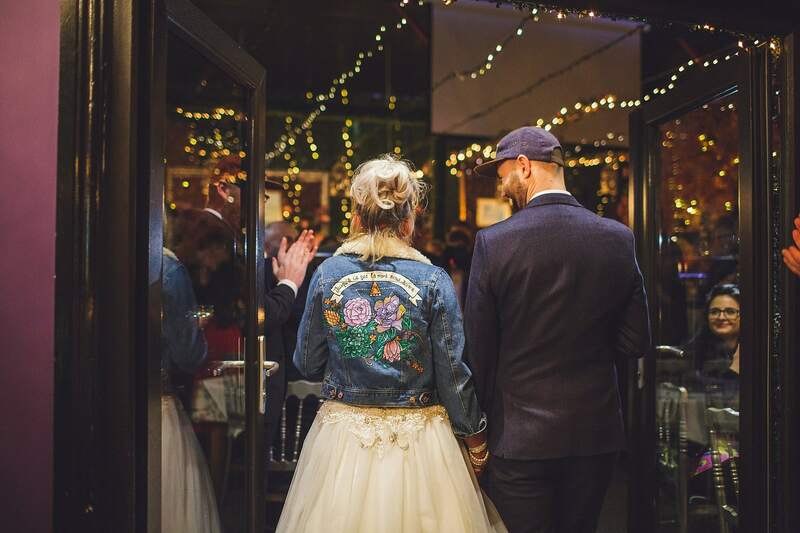 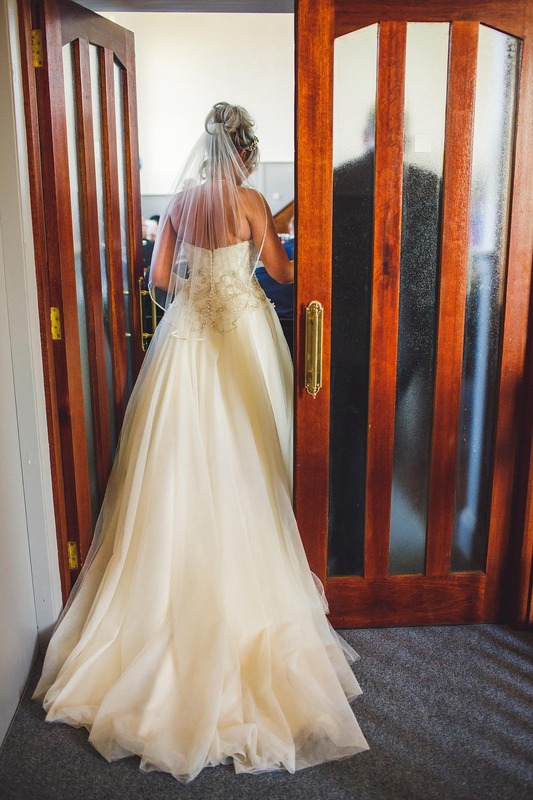 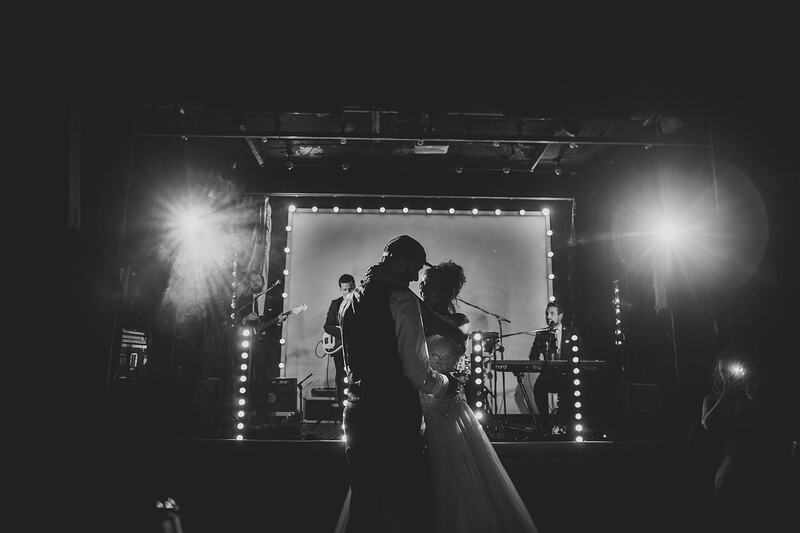 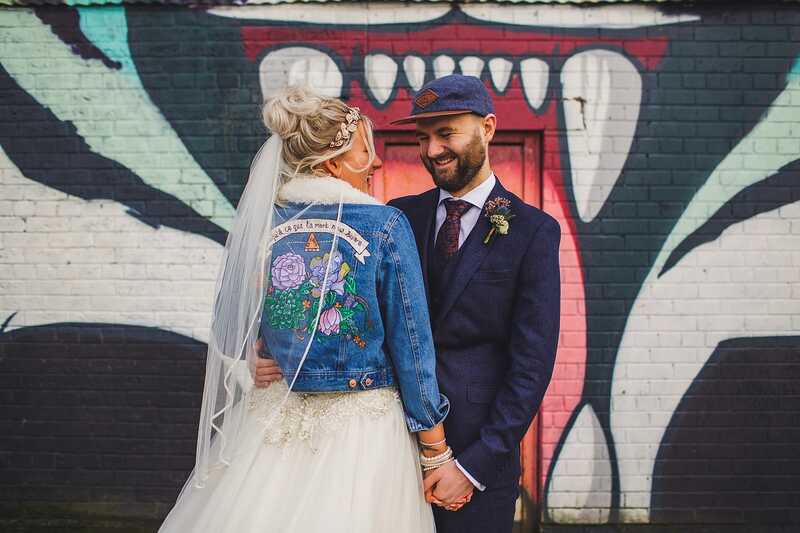 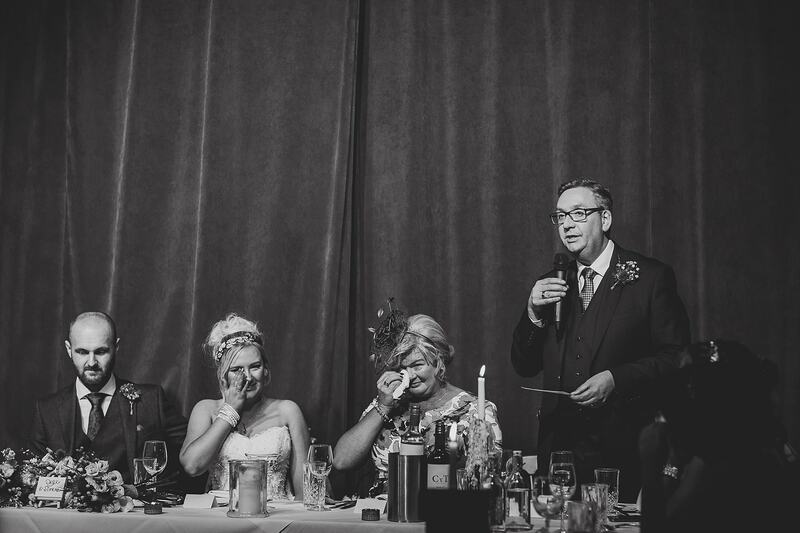 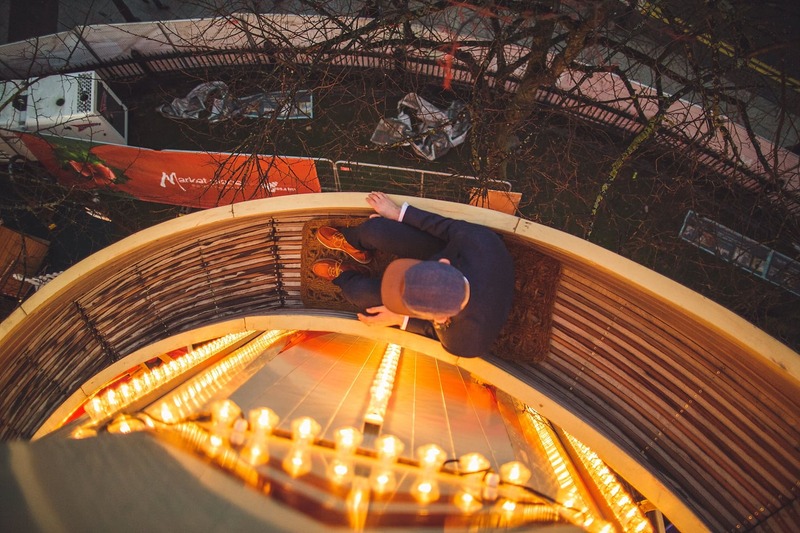 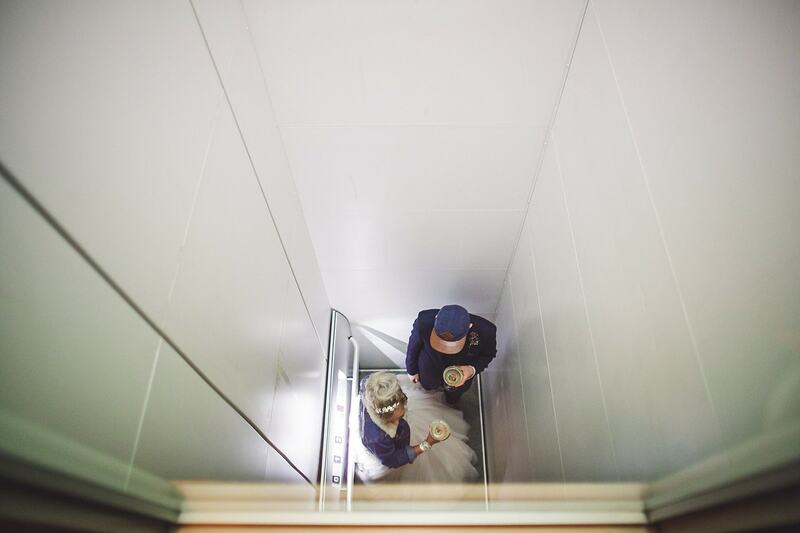 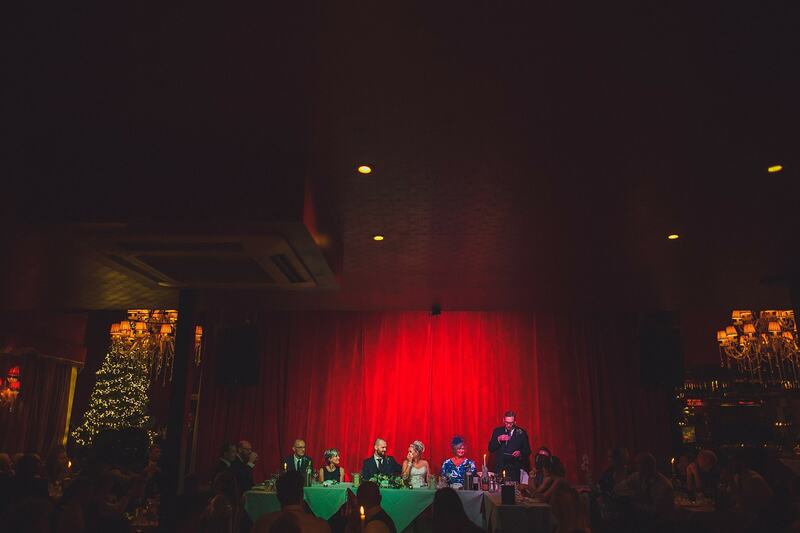 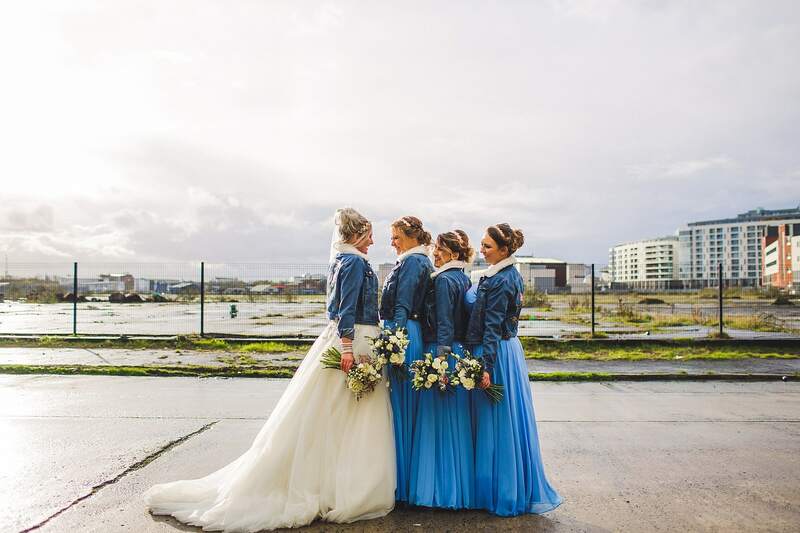 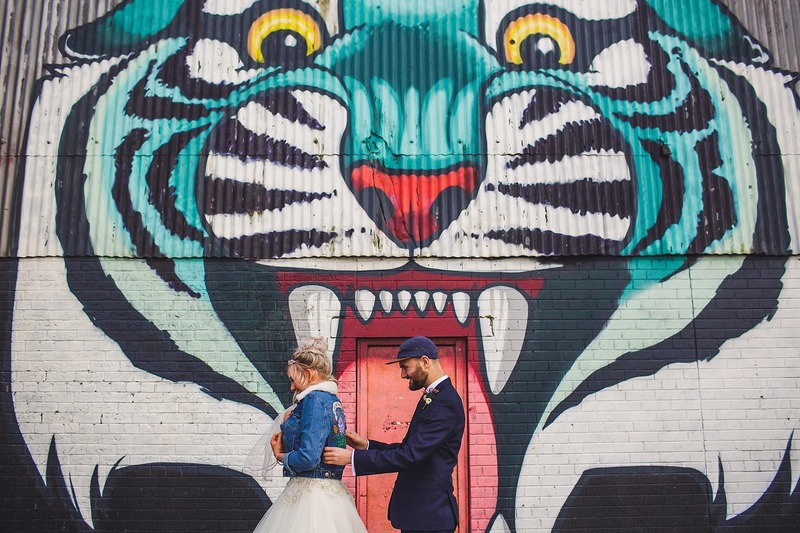 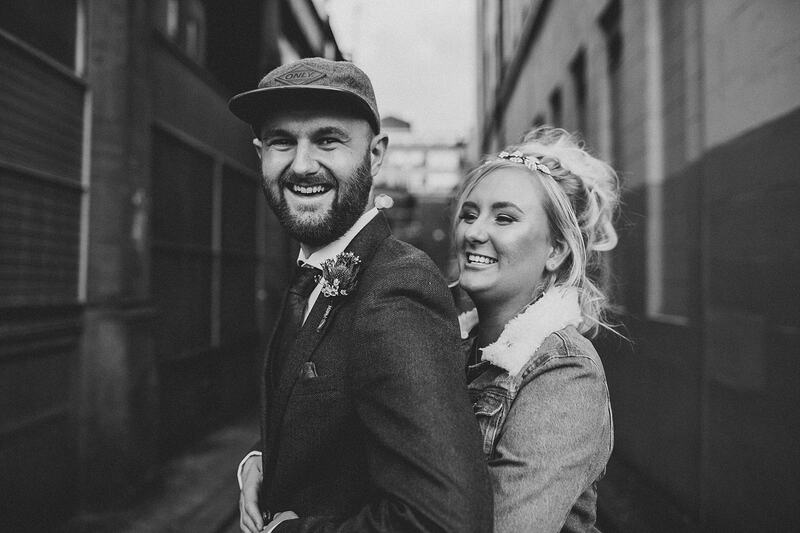 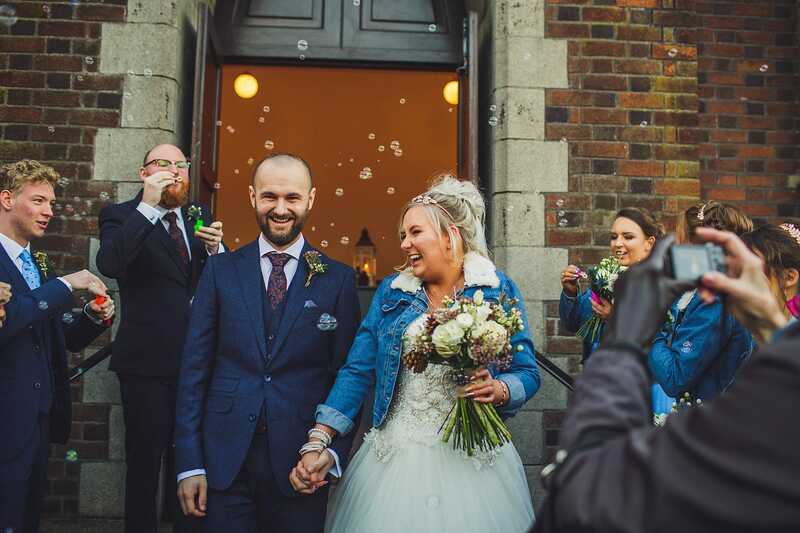 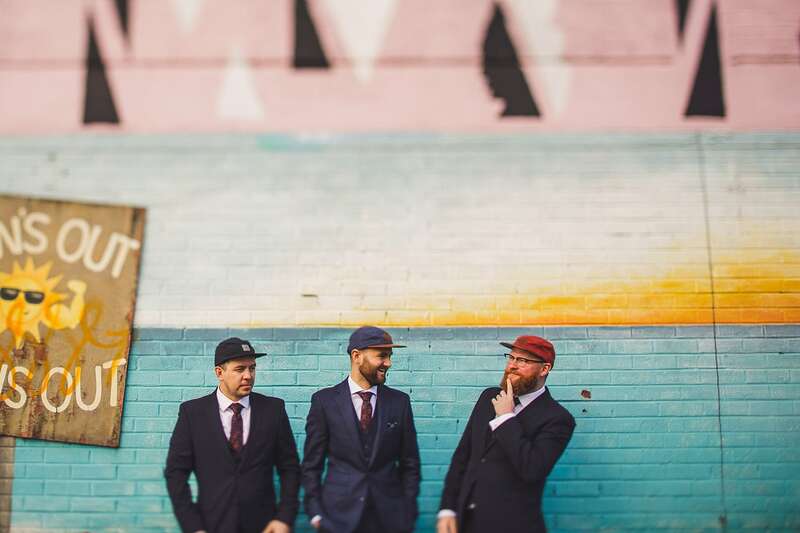 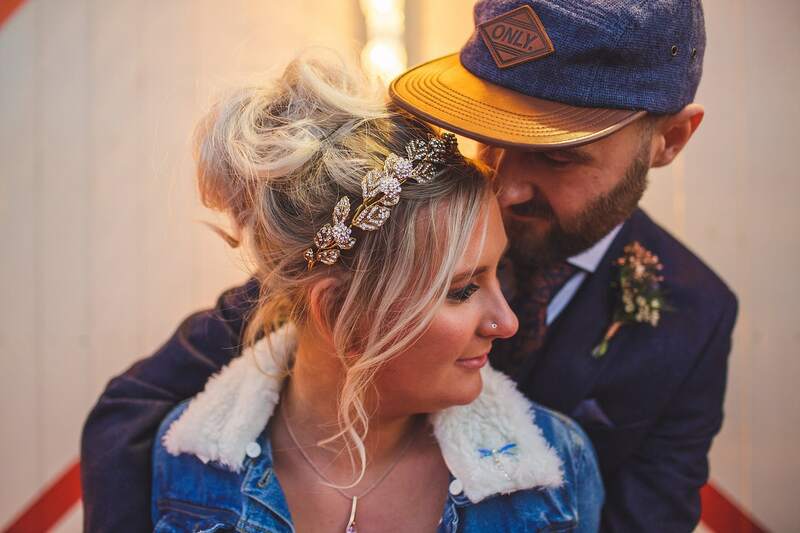 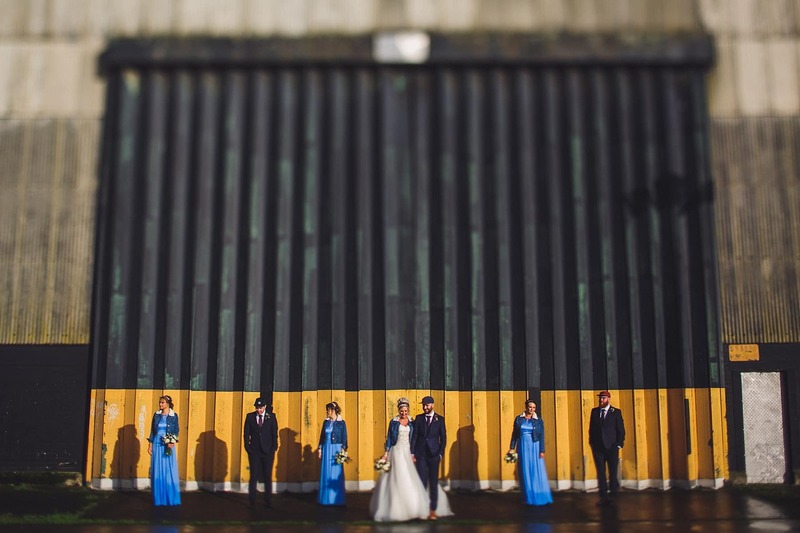 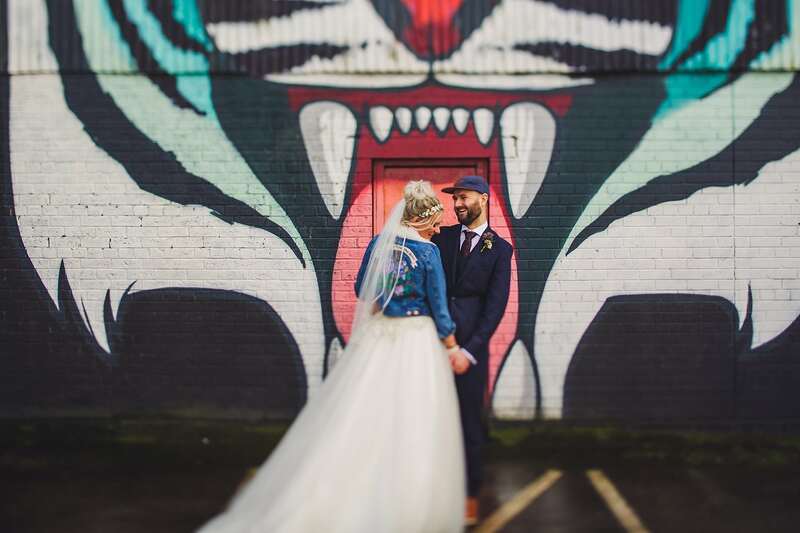 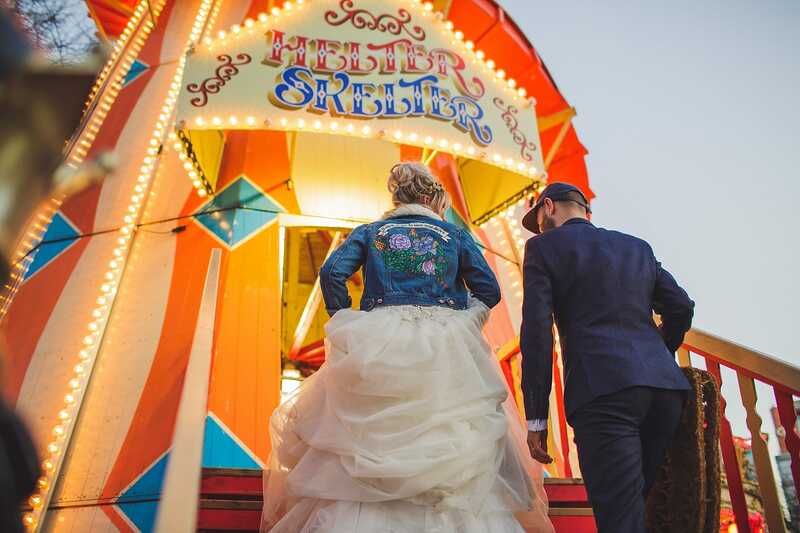 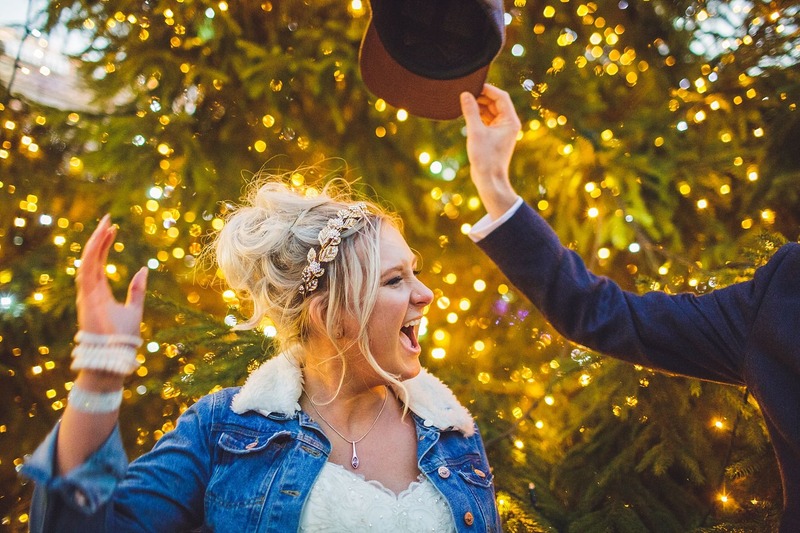 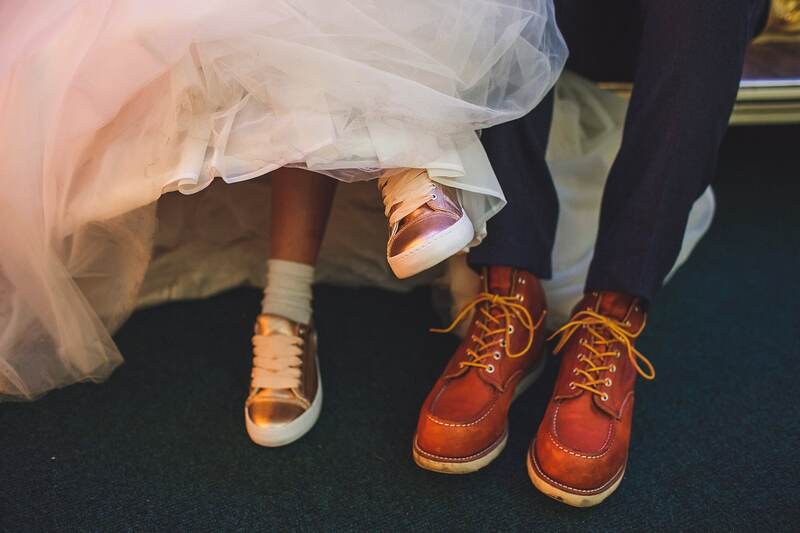 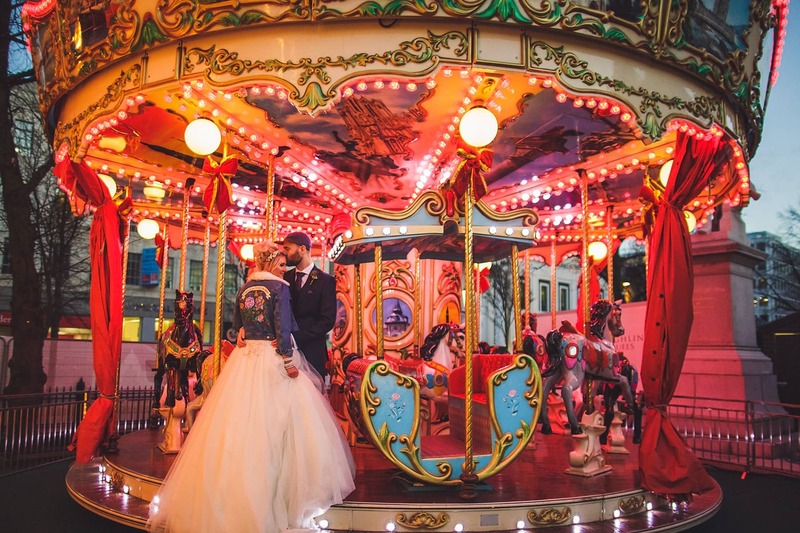 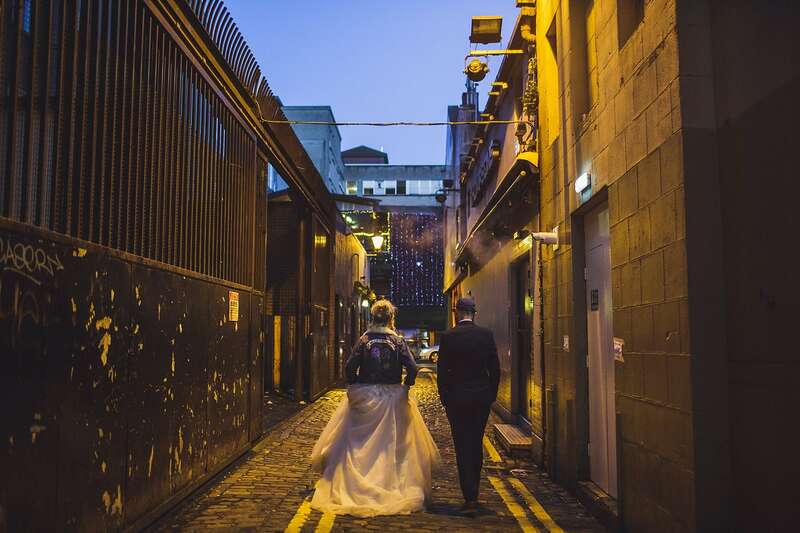 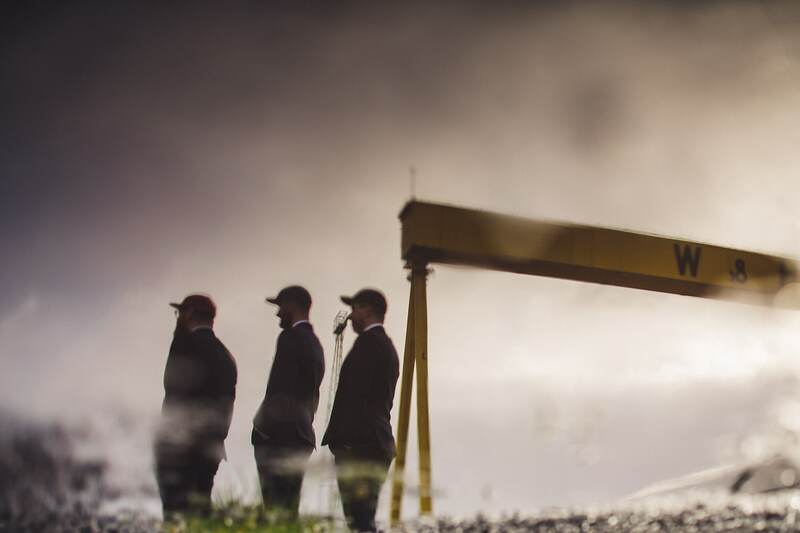 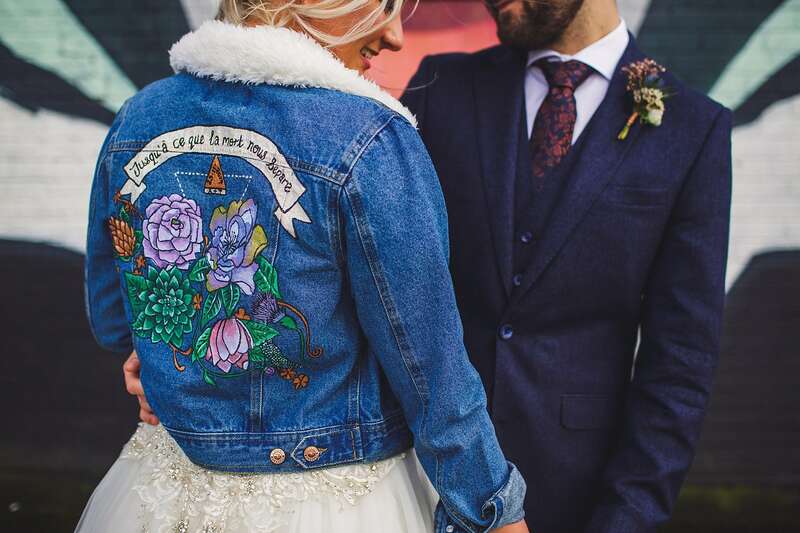 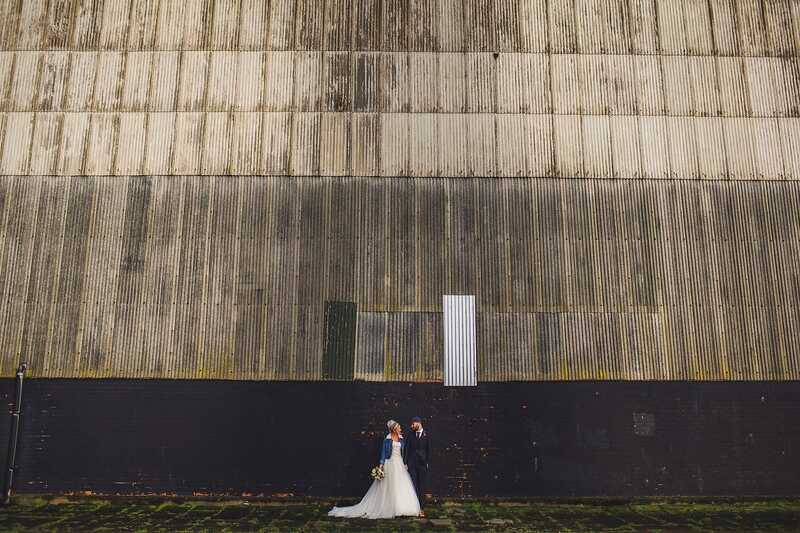 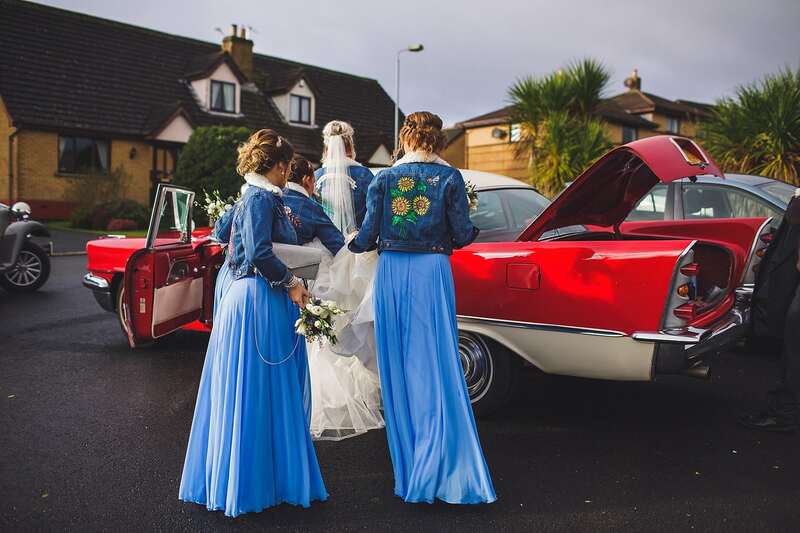 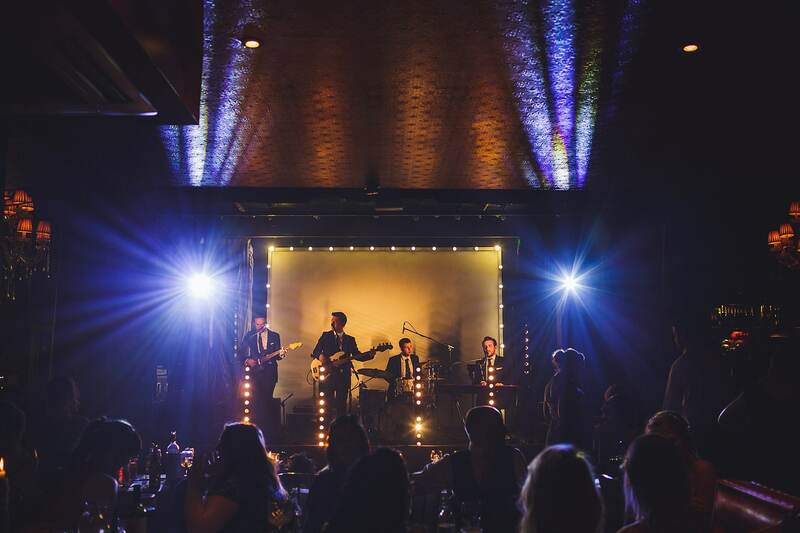 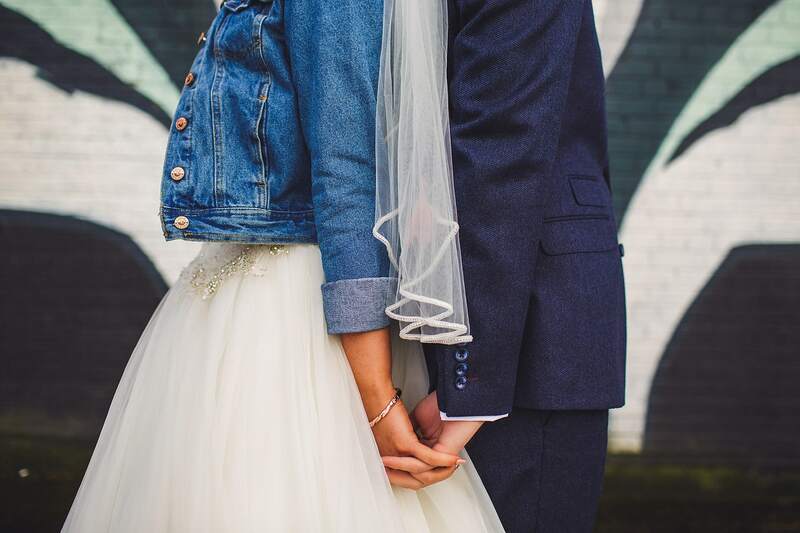 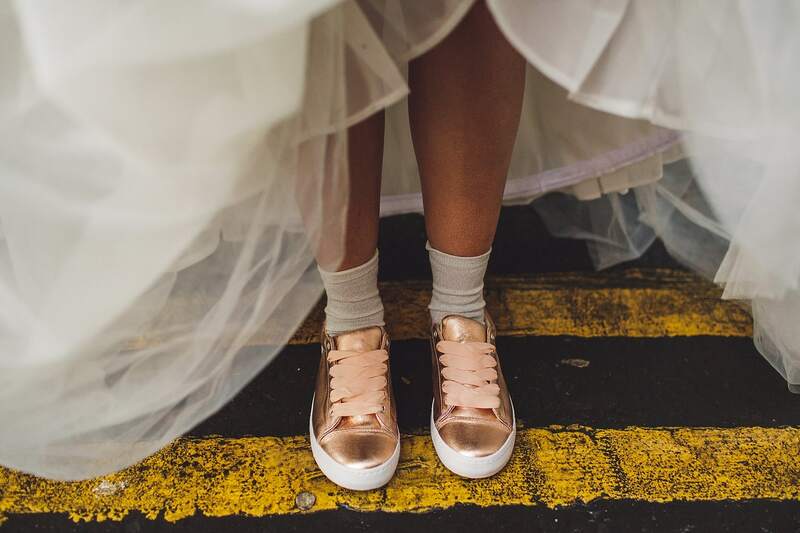 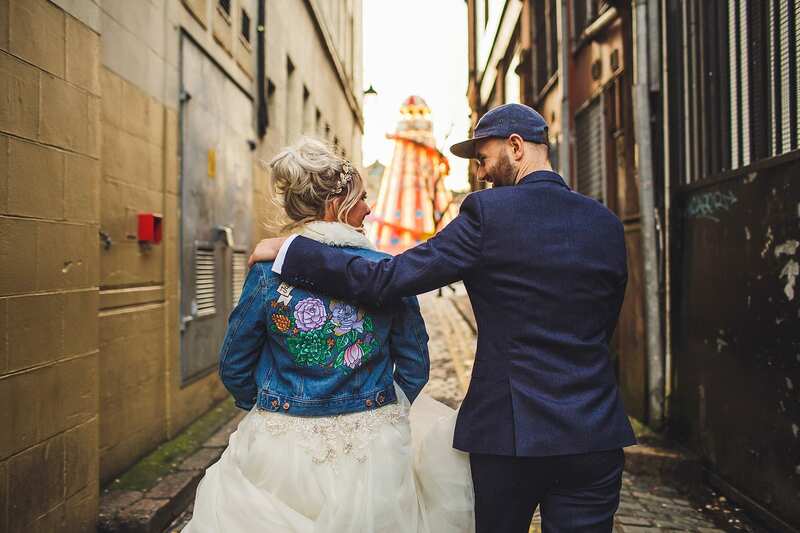 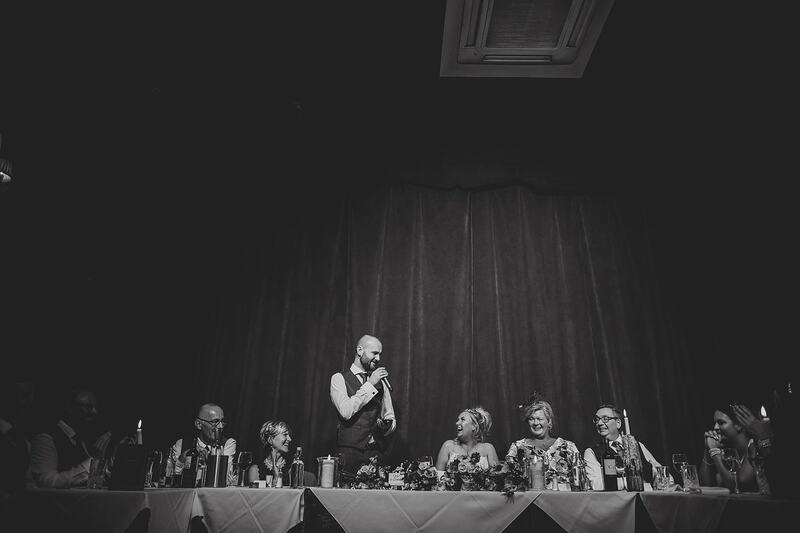 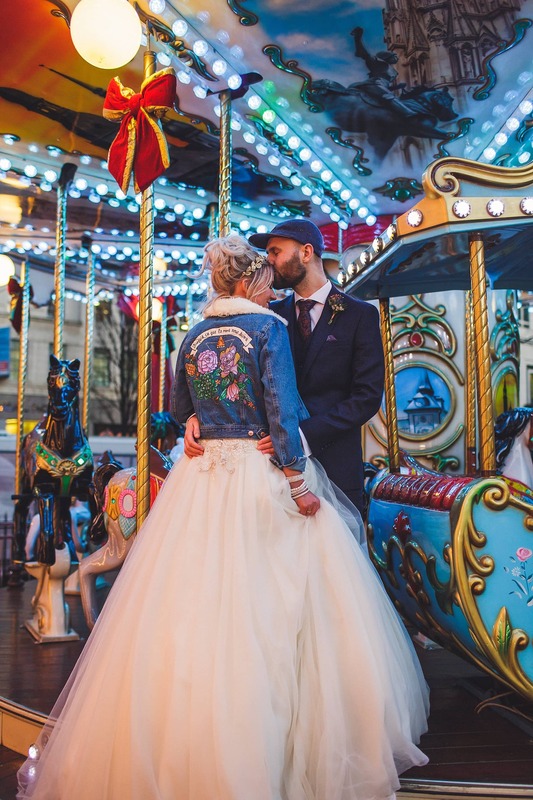 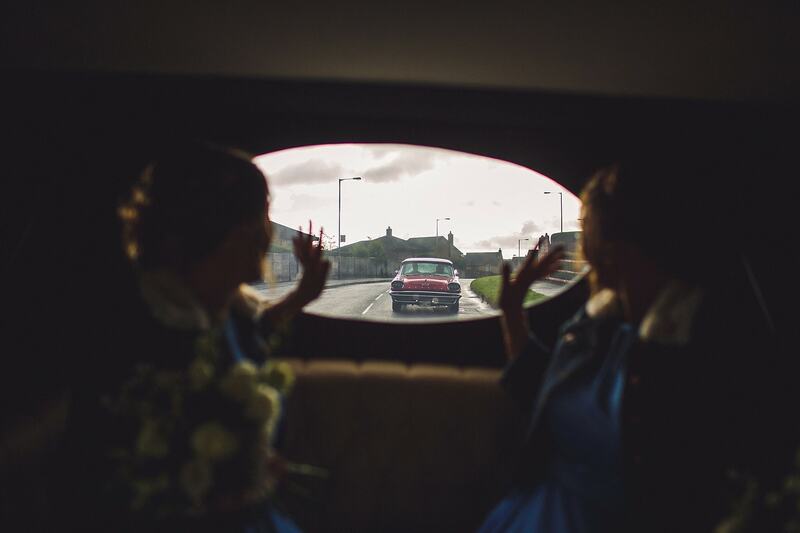 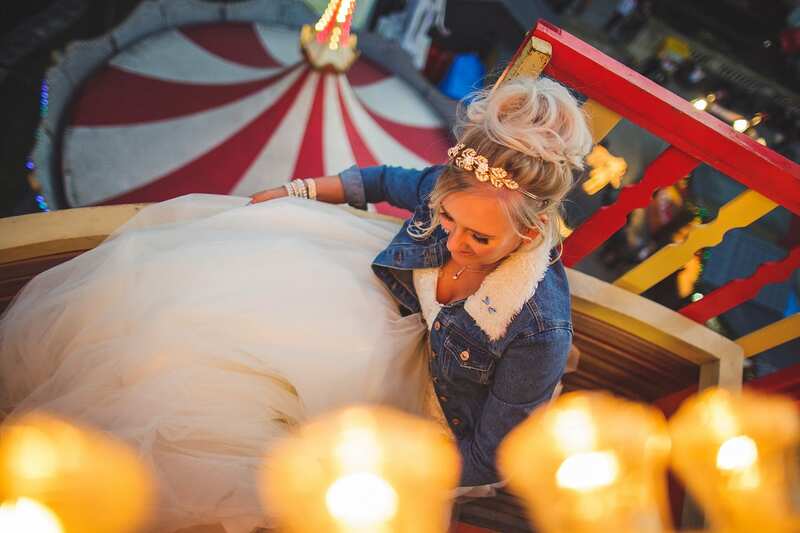 A little highlight of our favourite photos from this super stylish, Belfast City Wedding. 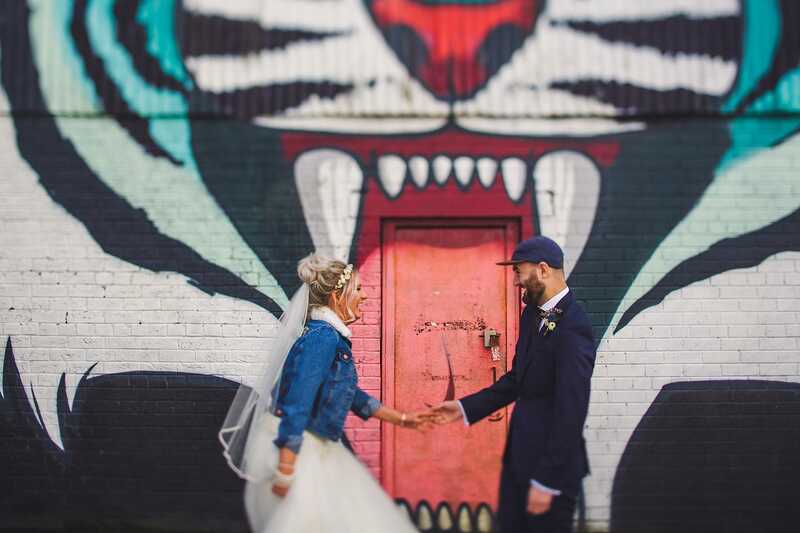 These two had their first look (yay!) 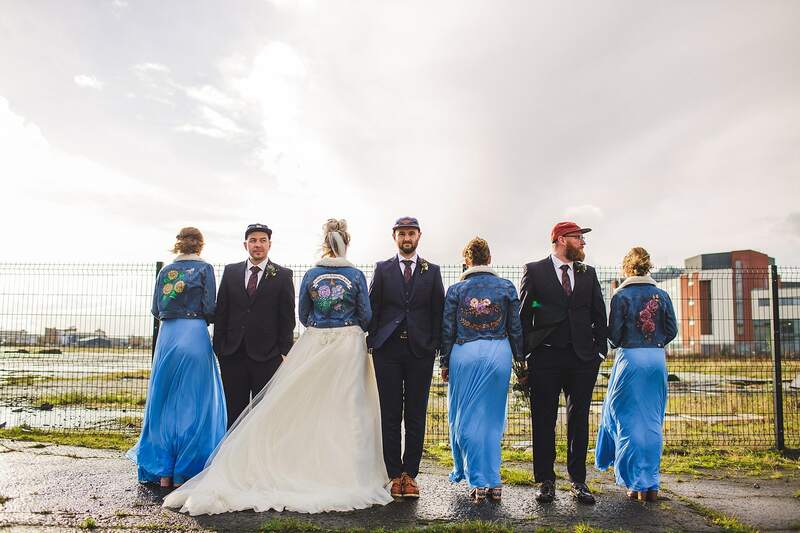 at Titanic Quarter where Amy surprised Tom with her incredible artistic skills by showing off the back of her hand-painted jacket. 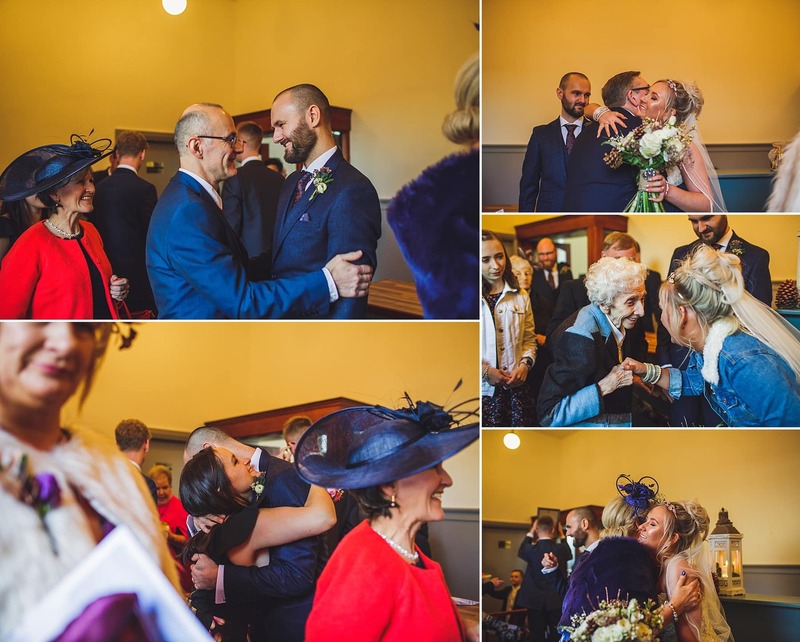 They were all the more excited to see each other again for their ceremony and said ‘I do’ in the beautifully bright Village Church in front of family and friends. 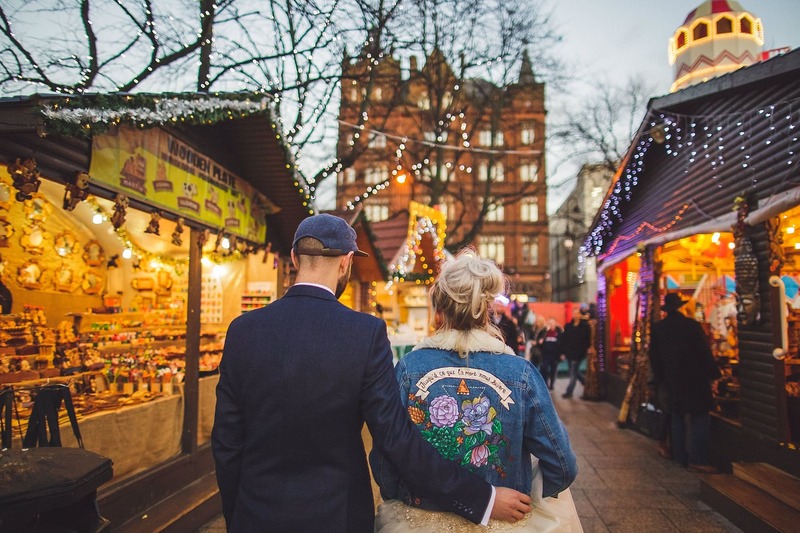 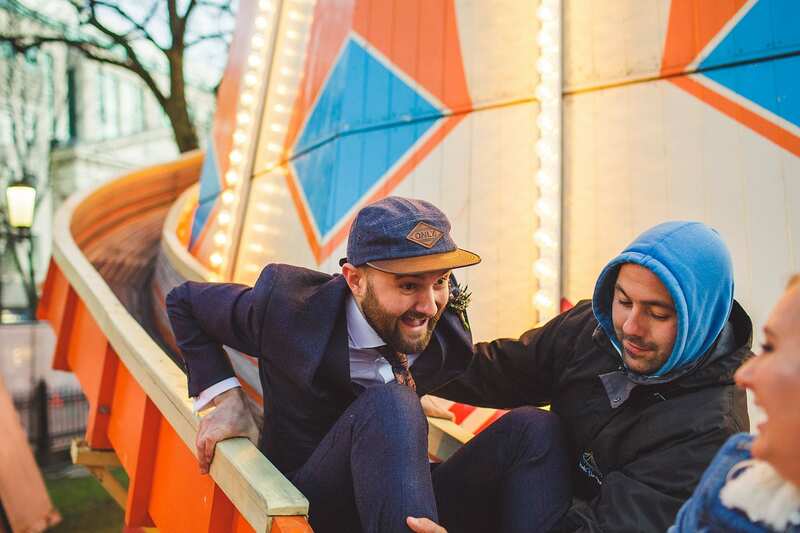 Later, as their guests got warmed up at The Treehouse, we went for a little wander around Belfast’s Christmas Market together. 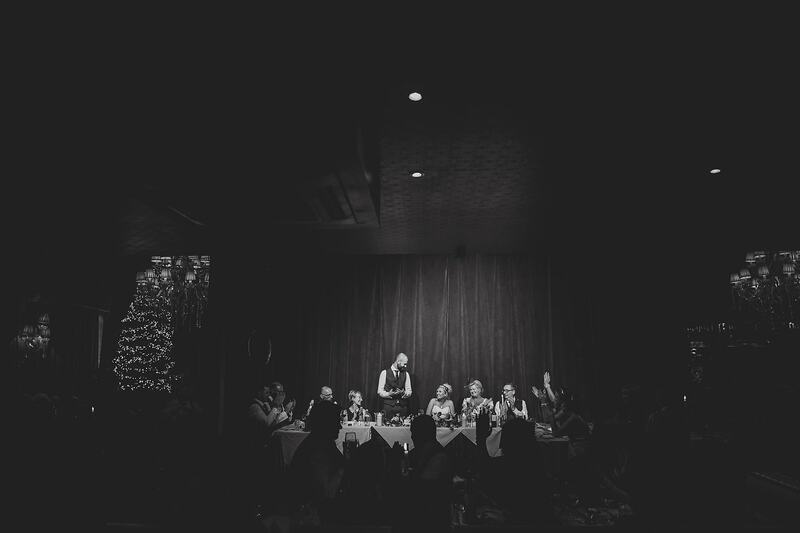 We then did a quick hop, skip and a jump over to AMPM where they danced the night away to The Gents in the Cabaret Supper Club.